Following Baca’s Regeneration and Masterplanning win at the international property event MIPIM, the practice was approached to make proposals for a signature tower for a strategic site in Knokke, Belgium. The Duinswaters (Duneswater) site is conceived as one new residential area, complete with a hotel, shops, restaurants and all amenities. The site is next to the train station and the bustling centre of Knokke. The tower’s height is governed by the height of Knokke’s tallest building – the local clock tower. 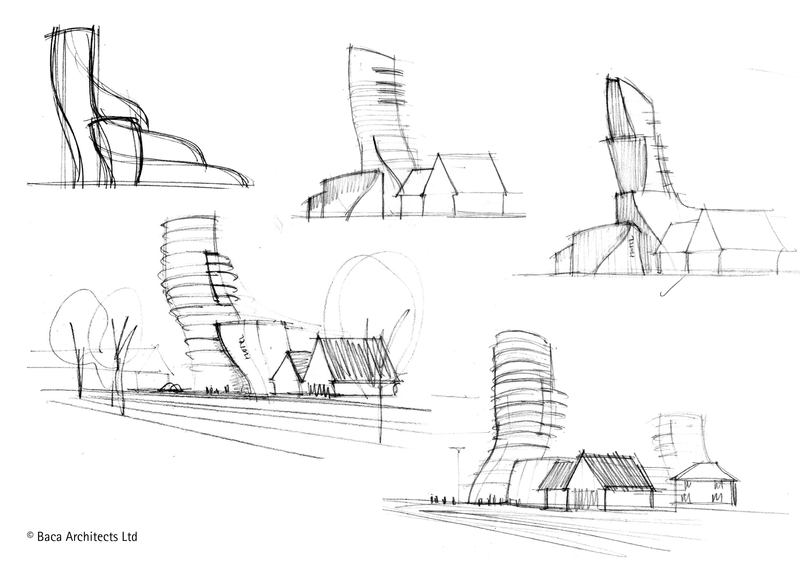 The tower is a freeform design, accommodating 4 flats per floor; it will create a strong silhouette against the sky. The tower will provide distant views to the sea to the north and the surrounding landscape to the south. Baca used rapid prototyping and Building Information Modellling (BIM) to test, validate and inform business models and create construction information.